Ants are social insects that live in more or less permanent nests. Colony sizes vary enormously and are mostly located in soil, wood and among rocks. In relation to their feeding habits, ants may be predators, or scavengers, which may for a time, have specific diet (e.g. the honeydew or sugary excretions of plant-sucking bugs). Ants may be almost omnivorous. 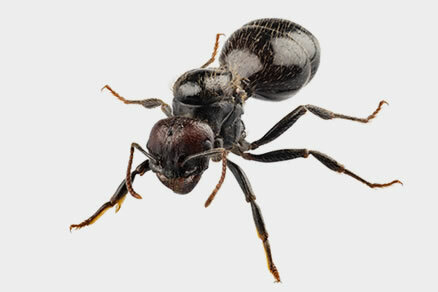 Being very common intruders in and around buildings, ants tend to be very familiar insects. They are commonly observed around foundations and in walls, roof voids, kitchens, lawns and gardens, the wood of decaying trees, and rockeries. As a group, ants are considered by many to be among the most successful of all insects. Ants live in colonies that can contain upwards of 500,000 individuals, you’re likely to only ever see 5% of the colony so your ant infestation can be a lot larger than first estimated.